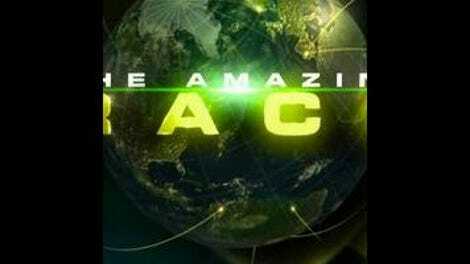 After a couple of truly snooze-worthy episodes, The Amazing Race gets back on track with a lightning-paced leg crammed with activity, revelations, and reversals of fortune. I know it was a good one, because I have five pages of hastily scribbled notes here. I’ll never get to all this stuff, but let’s hit the highlights, shall we? First out of the gate, as usual, are Andy and Tommy. This is the week we learn that they’re not just Dudez—they’re Jesus Dudez! I didn’t see that one coming, but it’s not as if reality shows are ever short on contestants informing the viewer that whatever stupid mistake they just made—say, handing their clue off to a complete stranger who then disappears—is simply God’s will. No, it doesn’t bother me that the snowboarders are really into Jesus, but it does disappoint me when they prove to be religious bigots by dismissing the native form of spirituality out of hand. At least Jennifer shows respect for the local culture, even while pointing out that their beliefs are different from her own. Just like that, the Dudez are off my personal list of rooting interests, but there’s a surprise replacement for them this week in the form of twins Liz and Marie. Spared from elimination last week, the twins must perform the Speed Bump task, which turns out to be washing and cleaning up after the elephant they’ll be riding to their next destination. And they sure are excited about it! I’m confident I’ve never seen anyone so happy to be shoveling elephant poop. It’s an endearing side of Liz and Marie we haven’t really seen before, as if they’re well aware they’re already living on borrowed time in this game. The Roadblock doesn’t look like much—wading out into murky water to find a clue while a nearby local plays the flute—until it turns out this is a double-Roadblock leg. For once, everything seems to go exactly as the fiendish producers had planned, as teams were instructed to disassemble a model of a Spirit House without being told (yet) that they’d have to reassemble it later. Obviously, the hope here was that some teams would figure that out and take extensive notes, while others would simply rush through it… and that’s exactly what happens. Most annoying of all is Laurence, who clearly tells Zac not to bother taking notes, then gets exasperated when Zac has to go back to the original site. “Don’t blame me!” Um, why not, dumbass? Laurence and Zac appear to screw up again when they take a first-class bus to their next destination, while other teams are stuck on a slower, cheaper bus. In this case, they figure out their potentially fatal mistake in time to run back to the station and take a later bus. When Ernie and Cindy also take the first-class bus and don’t get off, it seems like they’re in big trouble, especially since the episode has been dropping anvils about Ernie’s feelings of intellectual inferiority to Cindy. When they arrive at the Pit Stop, my only question is how long their time penalty would turn out to be, but then… nothing. Phil checks them in without incident. When Laurence and Zac eventually show up, Phil informs them that the rule against first-class travel only applies to air travel. Did we viewers already know that? If so, I’d forgotten, so the way this all played out was suspenseful and surprising, if a little anticlimactic. Another surprising turn of events is the fact that the grandparents are not only still in the race, but actually thriving, narrowly missing a first-place finish that went instead to Marcus and Amani. I’ll cop to thinking their non-elimination in the first episode was merely a brief stay of execution, but I’m happy to be proved wrong. I’m less happy to learn that the twins’ narrow escape last week was merely a brief stay of execution, as the terminally boring Jeremy and Sandy beat them to the mat. I didn’t think I’d be sad to see Liz and Marie go, but once again, this episode proved to be full of surprises. Here’s hoping that continues. One thing that wasn’t particularly surprising: Cute blonde twins have no trouble convincing cabbies to drive them around for free. Is it just me, or is Phil taking a lot more sadistic pleasure in his non-Philiminations lately? He actually pushed Jeremy and Sandy into expressing emotions! Nice close-up of a huge elephant turd, editors! Next week: Big sacks o’ tobacky.